Remembering Ardeanur Smith Hart. | Scuffalong: Genealogy. Remembering Ardeanur Smith Hart. – Scuffalong: Genealogy. She was the oldest of the McNeely grandchildren. I can’t find the photo right now. The one I took at the last family reunion she attended in, perhaps, the mid-1980s. She was lovely. “Pulled,” as my friends say, with flawless caramel skin, steel grey hair swept in a neat chignon,* stately bosom encased in a champagne-colored lace sheath dress. 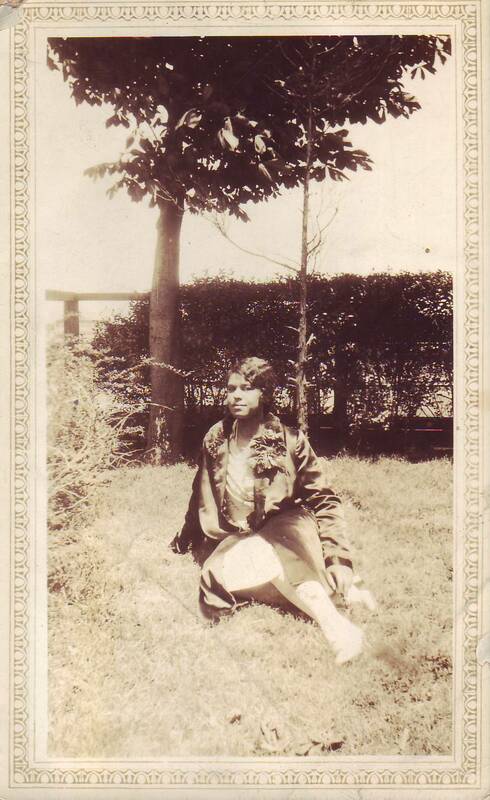 Cousin Ardeanur Smith Hart, born one hundred twelve years ago today. Ardeanur, circa 1928, Bayonne NJ. 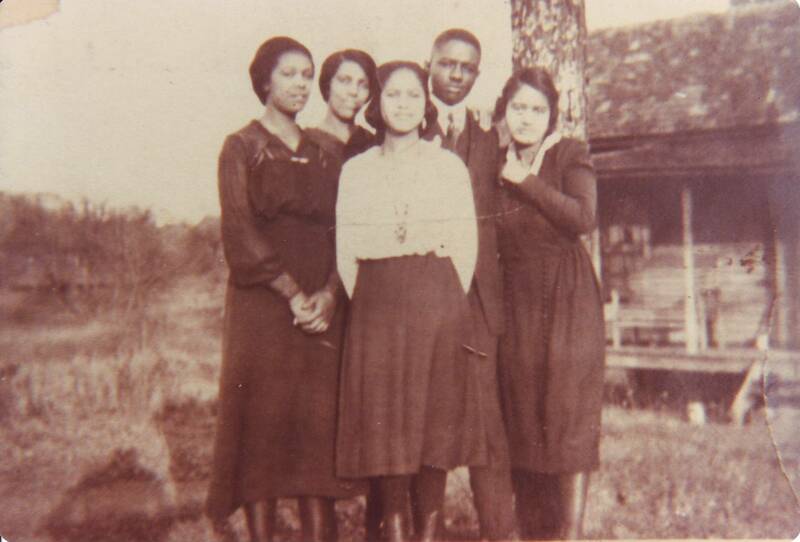 Ardeanur; her aunt Minnie McNeely, who reared her after her mother’s death; her cousin Louise Colvert; a Murphy; and her uncle Lon Colvert’s sister, Bertha Hart. Statesville, mid-1920s. Ardeanur Smith Hart (8 February 1902-14 January 1996). *I found it. And I misremembered. Not a chignon, but a neat cap of curls. 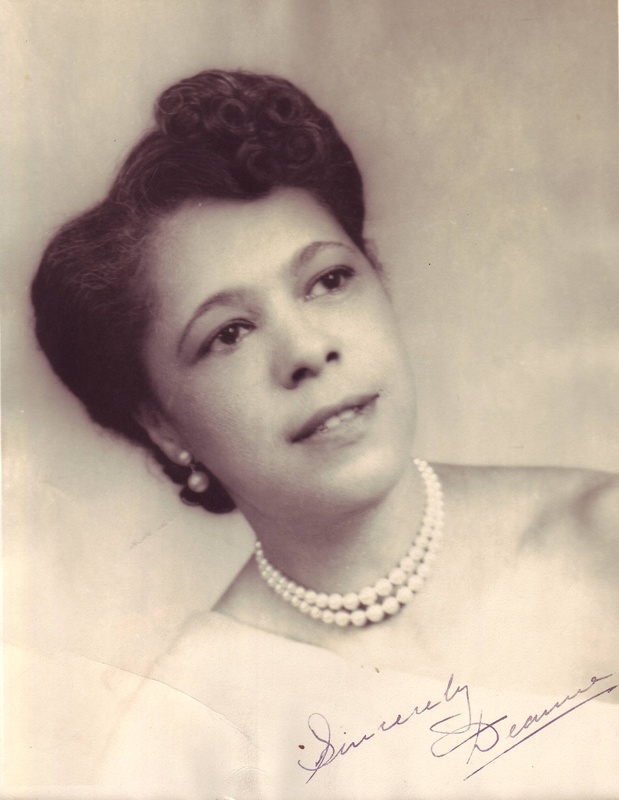 → Remembering Margaret Colvert Allen. ← Where did they go?, no. 3: more McConnaugheys. Pingback: Cousin Ardeanur sings for the Race Congressman. | Scuffalong: Genealogy. Pingback: Cousin Red McNeely … or Smith. | Scuffalong: Genealogy. Pingback: Ardeanur, elocutionist. | Scuffalong: Genealogy. Pingback: DNAnigma, no. 19: sorting sides. | Scuffalong: Genealogy.